As we can see that now a days many people creating blogs for their hobby or passion or business. But apart from that many of them can update their blog on own PC/Laptop. But Most of us don’t have access to their PC/Laptop’s 24/7. Even though they use their smartphones too but don’t aware that they have facility to update their blog through their smartphone too. So today I will sharing the 3 apps which are the must have apps for bloggers to use on their smartphone. 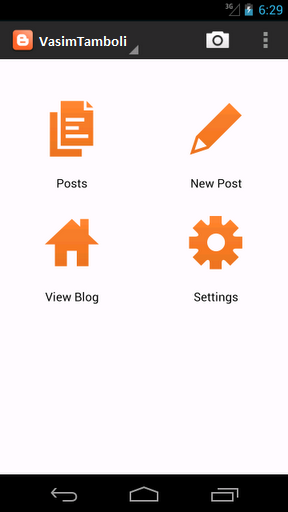 Using this App you can easily write, edit or even publish blog posts. It’s the official Blogger app by Google. For Example, you are travelling and you don’t have access to your PC/Laptop. So we have get more time to think and write as it doesn’t require any technical knowledge, and using this app you simply start your article. This is Google AdSense’s official app. This app keeps you updated with your daily earnings. Using this App you can check the countries from where the clicks are made, CPC, CPM, CTR, Daily Earnings, Weekly Earnings etc. It allows you to access reporting features anywhere, directly from your mobile device. You can also check your earnings based on the custom channels or the ad units you’ve created. Well this is not all yet; this app comes with a very attractive look which reveals your live earning, weekly earning and monthly earning. So if you are an AdSense publisher, then you must have this app installed on your android phone. Please Note: YouTube revenue and revenue from the legacy AdMob are not available in this app. Last but not the least comes Google’s official app Google Analytics. 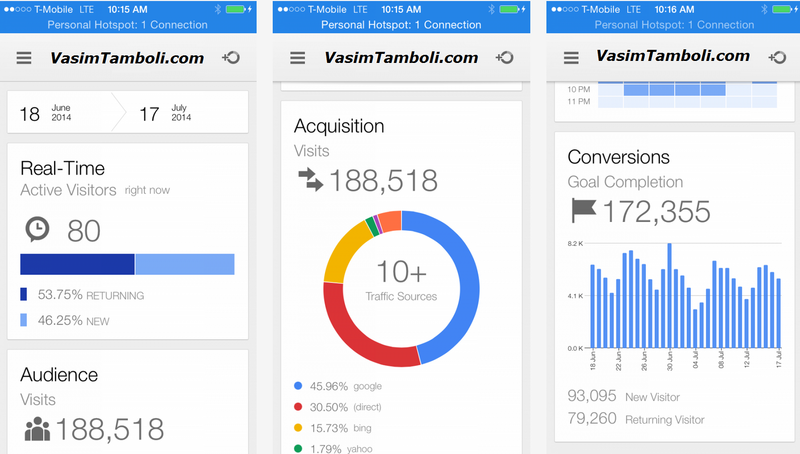 Using this app you can access all of your Google Analytics web and app reporting profiles from your mobile device. This app has an all-new look and feel that’s optimized for phones and tablets, so you can easily get your Analytics data anytime, anywhere. 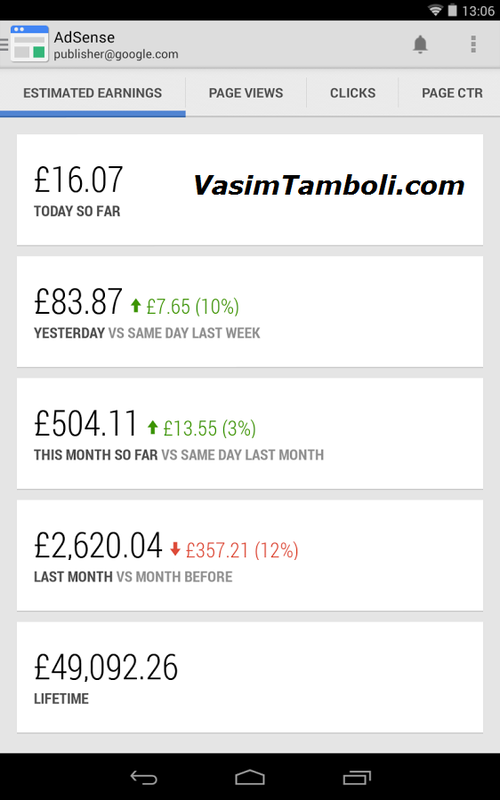 This app shows everything Real-time Views, Demographics, Weekly Views, Referrals, Bounce Rate etc. of every site you own. I have installed this app in my phone and I always use this to check my Real time visitors. It’s a very user friendly app for all Webmasters and Bloggers.